BY 2050 THERE WILL BE AS MUCH PLASTIC AS FISH IN OUR OCEANS! bin. By recycling our bathroom plastic waste, we can make a huge difference. would save £135,000! Or they could save enough energy to vacuum around 82,460 homes. projects, and the school that collects the most plastic will win a £10,000 playground makeover! full T&C’s please visit www.garnier.co.uk/terms. 1. Collect all your plastic bathroom waste so your child can sort it. 3. 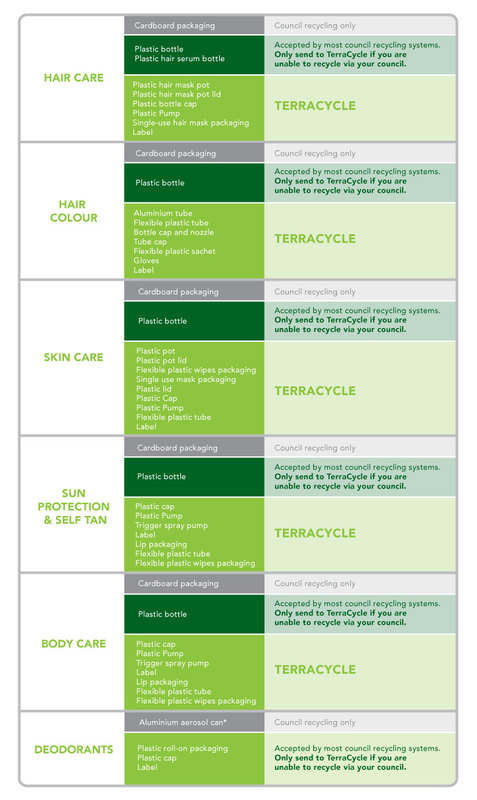 Help your child identify which of these bathroom plastics our council can’t recycle. Items we can recycle, listed below. Please start collecting as many of these things as possible and bring into school the week beginning 10th June 2019 ready to be sent straight off to Terracycle. Thanks for all your recycling support! Second litter picking adventure complete!! What a fantastic group of children you all are. You searched the area high and low for all the rubbish you could possibly find. I think we can safely say Reydon rec has been spring cleaned for 2019! Well done to the Eco-committee for completing the first of our planned litter picks. Friday was the beginning of "The Great Big School Clean" and I am very pleased we were able to take part. The children are now prepared and enthusiastic for the second clean up. As a school, we are part of the Big Battery Hunt, a competition held by the national schools partnership. We are collecting batteries to send away and be recycled. We are encouraging the children to bring in as many used batteries as possible before Monday 3rd June. We are only collecting AAA, AA, C and D batteries for this competition but there are other alternatives for recycling different battery types at other local places. One of the seven steps to becoming an Eco-School is Carrying out an environmental review that helps the school to identify its current environmental impact and highlights the good, the bad and the ugly. The results of our Environmental Review have informed us of the topics will work on in our Action Plan. Teaches children about local and/or global coastal and marine habitats, how people are affecting these habitats and what we can do to protect them. Examines the impact of waste on the environment and explores actions to minimise the amount of waste that we produce and dispose of on a daily basis. Suggests ways in which all members of the school can work together to increase awareness of energy issues and to improve energy efficiency within the school.